I enrolled at Nick's with two rackets, two pairs of shoes, and $10. 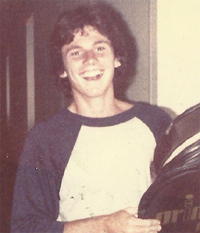 I enrolled at the NBTA on Labor Day of 1980, with two rackets, a couple pair of Kmart shoes, and 10 bucks to my name. In the 30-plus years I have been away from the academy, high performance tennis training has come a long way. For myself and the dozens of other talented teens who descended upon Bradenton back then, we were not these perfectly polished finished products. We all had a great deal of upside still to go before we reached that plateau in tennis where a player has to work unimaginably hard just to get a little better. What Nick did, whether by master plan or just idiot savant, was throw a bunch of hungry talented teens together and have us compete with each other all day everyday in essentially every area of life. We competed with each other academically, socially, on the court competitively and most importantly, for Nick's attention. If you got picked to be on Nick's court, that meant he saw something special in you, that you had what it took to be a winner, for that was what Nick was all about and stressed from day one. To be a winner, act like a winner, train like a winner, hang around the winners and guess what? You'll soon be a winner yourself. From a strictly tennis perspective, we were all pretty successful players already, with techniques and styles of play pretty well engrained. The NBTA was not so much about technique as it was about training. There was very little overhauling of players' games when you got to our level of play; the cost benefit analysis of making major changes was just not favorable. The goal was to be special and make it to Nick's court. What NBTA provided for us was an opportunity to groove our respective styles through hours and hours of daily repetitions, but all in a hierarchical court structure with the pinnacle achievement being trying to capture Nick's eye and get chosen to be on the desired first court with him. I walked into a Who's Who of junior and future professional tennis players: Jimmy Arias, Mike Depalmer Eric Korita, Carling Bassett, Pam Casale, Pablo Arraya, Kathleen Horvath, Cary Cohenour and so many others. These were my new best friends. I wanted to be just like them, which for me at that time meant to train like them. This proved to not be difficult. There were no individual programs at the NBTA. We all got up at up at 6:30, had breakfast at 7, bus at 7:30, school from 7:45 to 11:45, lunch at the academy 12 to 12:30, on the court from 12:30 to 6, shower, dinner, a no talking study hall from7 to 9, from 9 to 10 poolside relaxation, 10:30 lights out. Get up the next day and repeat. This was my life. If I wanted to be successful at tennis, I was in the perfect place. Off the courts Julio Moros and Carolina Bolivar-Murphy took such great care of me making sure I was doing OK. Going to school every morning, being with Dr. Murray and Lois Gerber, who were the headmasters of Bradenton Academy, along with their daughter Susan, showed an amazing amount of love and support and knew of my very fragile upbringing. Mrs. Gerber and Susan in particular provided me with a great deal of encouragement, made me feel special and always reminded me I would do great things in life. Their impact on my life was a game-changer, a defining moment, and I am clearly in a better place in my life today due to their impact on me at a very important time in my development. To this day we are still family. One area of life I was already successful at was getting attention. Not always the kind I wanted, like from the adults at my club, but on a tennis court I knew how to catch your eye. It wasn't long before Nick figured out who the overly hard working enthusiastic new kid was. Soon I would get the first of many acknowledgements to come from Nick that I had the right stuff to make it as a tennis player. I played like I had something to prove. I played with a chip on my shoulder; like I had something to prove. I was going to be tougher and work harder and compete until the last ball was hit. Nick loved this and it couldn't have been more than a couple weeks of being in attendance at the academy that Nick sat down with me to learn more about my life and circumstances. When I explained my family's financial hardships to him and the lifetime deal I had made with Dr. Nazareth just to be able to attend the NBTA, Nick did the first of what would become many magnanimous deeds. He took my lifetime contract with Dr. Nazareth and he ripped it in half. He took my half scholarship to attend the NBTA and he made it a full ride. Carolina had played a major role with helping Nick to better understand my difficult home life and her desire for me to be able to stay at the Academy and suggested to Nick I receive a full scholarship. Nick became the coach and father figure I never had but always wanted. And it could not have come at a better time. Practicing every day for hours on end with the best junior players the United States could produce was paying off. At the NBTA if you were a good enough athlete with a good head and a strong work ethic you were going to get better, and get better quickly. And I did. Within a year of being at the NBTA I had gone from being number l0 in Florida to now being Florida boys' 16 champion and a top player in the United States, suddenly thrusting me among the best players in the country and all that entailed. Nick knew what made players winners. 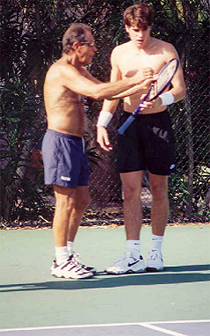 Frankly, nobody from the Blair family or anyone from my old neighborhood knew the first thing about being great at tennis, but Nick did, and I was very fortunate to be under his guidance and tutelage at such an important developmental period in my life. Playing in the finals of the Boys 16 State Championship I faced my long-time great friend Robert Green. 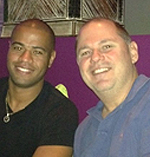 Heck, Robert and I went to the same school since the first grade at St. Charles in Orlando. 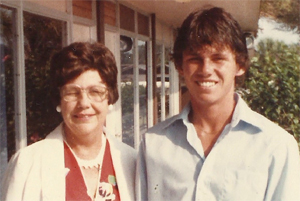 The Green family was tennis royalty in Florida tennis in the late 70's and early 80's. Robert's mom was the president of the Florida Tennis Association and Robert had several siblings who had paved the way for him on the Florida junior tennis circuit in earlier years. His brother Raymond, Chris and his sister Peggy all played competitive junior tennis and did it very well. The Greens were also quite affluent and always contributed to help organizations and others at all times. Mrs. Green took a liking to me and was instrumental in helping me with funding for tournaments and equipment by having the Central Florida Tennis Confederation sponsor me. 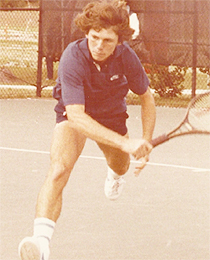 The people there and so many more made a huge difference, which culminated my "game changing" moment when I defeated Robert Green in June of 1981 to win the most coveted tournament in Florida, the State Closed Junior Championships for the boys' 16-and-under division. I knew I had arrived and owed so many so much. I also knew I was never going to allow where I came from, what my home looked like, how much money my parents had or what kind of car we drove or the clothes I wore to ever effect my ability to perform on the court ever again at the highest level. And I would expect the best result every time I walked on the court. I promised my mom to try to make a difference. For many years I had used my circumstances as an excuse for losing matches or acting out in a negative way. I allowed myself to feel sorry for myself. After this day, this victory, I determined I was creating my own destiny with every result and every action on and off the court. I arrived this day and I was there to stay. Mom and I left that tournament that day with the winner's trophy. We smiled and shared a good cry as our efforts as a team were beginning to payoff. I will never forget the car ride. She pulled over outside Orlando before we arrived home and asked me to make a promise to her. I said, "Absolutely." She said, "Bobby, never forget all the people who helped you. And from this day forward when you can, do something for someone else every chance you can, Just step up and do it, even if it's not easy." Nick and the NBTA were providing me a platform from which to thrive. I had a whole new group of great guy friends with whom I was able to be as close to as one could be without the awkwardness of my hidden sexuality affecting my ability to live comfortably. The girls loved me and I was able to secure a girlfriend there early, helping keep my secret under wraps and avoid detection. Everything was still quiet on the home front, Mom's cancer was in remission and Dad was sober and working his AA program. 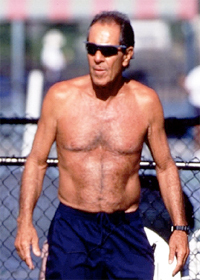 I was working super hard on my tennis and enjoying the fruits of my efforts. I was as happy as I had ever been in my young life.